With 60 pages of additional articles, references, and bibliographies of recommended reading. In the Dragon and the Raven, a brave prince and a nobleman’s son come of age in the midst of warfare on land and sea. 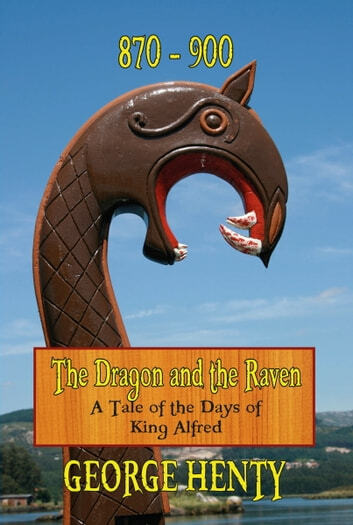 Alfred is only 23 when he becomes King of England, which is divided by rivalries and beset by the Vikings. The Danes had not only plundered the coastlands, they had invaded East England, and were pressing their way south and west. Edmund is even younger than Alfred when his father, an earldorman, is killed by Danes; and Edmund offers his service to the King. After raising an army and defeating a powerful Danish force, he takes to the seas in his ship, the Dragon, to harry the Danes in the sea-ways where they sail their ships under the flag of a black raven. The Henty series is a unique way of learning about history. It consists of over 80 novels, each written by George A. Henty, and each featuring a significant historical person, period or event. * Perfect for busy people who have never lost their desire to learn. * An ideal way for homeschool students to learn history. * Organized by time period. * With additional nonfiction articles and a bibliography of recommended reading. Ambrose, Prince of Wessex; Warrior of the King. Historical Tales, Vol. 9 (of 15) The Romance of Reality. Scandinavian.